Are Golf Cart Accidents Really Serious? Many people mistakenly assume that because golf carts can’t travel fast that they are safe to drive. They also believe that golf cart accidents result in minor injuries. However, nothing can be further from the truth. Golf cart accidents are serious and if someone else’s negligence was the culprit, it’s important they are held legally accountable for their actions. 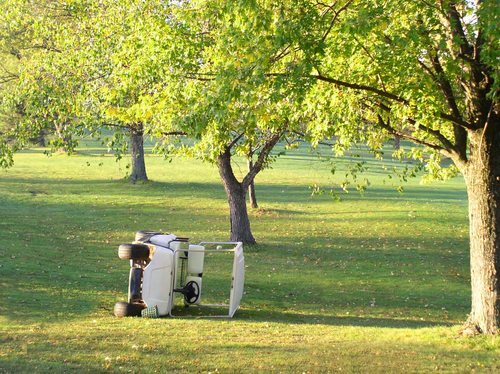 What Makes a Golf Cart Accident Serious? Of course not all golf cart accidents result in someone getting critically or fatally injured. However, there are some common themes that can help you gain a better understanding of what takes a golf cart accident from something minor to something more. Increased speed. The faster the golf cart is going, the more risk there is that the golf cart will crash and that the individuals inside will be hurt. Driving in unsafe areas. Golf carts are not all-terrain vehicles. They’re meant to be driven on fairly smooth ground. Individuals who drive a golf cart in an unsafe area may flip the cart, resulting in dangerous injuries. Driving under the influence of alcohol. Many people assume that it’s okay to take the golf cart out after drinking because it’s not a “real vehicle.” This increases the risk of a collision and it’s just as illegal to drive a golf cart under the influence as it is to drive a car, truck, or motorcycle. Inexperienced drivers. Many people let their children or their teenagers drive the golf cart because it seems more like a “go kart” than an actual vehicle. However, inexperienced drivers may not be able to react appropriately in situations that call for keen driving skills. If you have been hurt in a golf cart accident, be sure to contact an attorney who has experience working with golf cart accident cases specifically. At the Slonaker Law Firm, we can help guide you through the process of bringing forward a claim for compensation after a golf cart collision. Call today for a consultation at (352) 629-6656.